Business Analytics refers to the technologies, skills, and practices for iterative, methodical exploration and investigation of an organization's past performance data to gain a deep understanding and do future business planning. In this competitive market, Business Analytics makes a lot of sense for business rely on data-driven decision-making. In today’s competitive world, all big companies highly rely on their data. They use their past business performance data to make informed decisions and future planning. Business Analytics gives them a way to visualize the future and do business planning that can take their business to the next level. To use their data effectively for business decision-making purposes, businesses need people who can provide them the report they need to do business planning. A person who holds a certification or a degree in Business Analytics usually fits into this criteria. There is a very high demand of skilled people who have their expertise in the field of Business Analytics. According to a report published in Times of India, India will face a demand-supply gap of 2,00,000 analytics professionals over the next three years. Here is a wonderful post on Edureka, which explains, why a career in Business Analytics is a good option. Great Lakes institute of management offers one of India's prestigious post graduate program in Business Analytics. The program is designed exclusively for working professionals ranging from young executives to senior industry leaders. 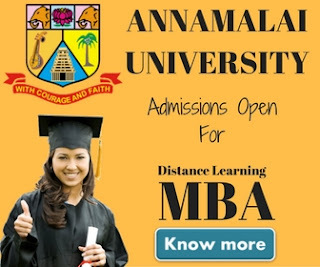 The course is delivered by a unique blend of online and classroom sessions. The program consists of 240 hours of classroom sessions delivered by Great Lakes faculty and 100 hours of online learning. All students also get an access to Learning Management System (LMS) where they can access to online lectures, classroom recording, assignments, and reading material. A candidate must be a graduate with minimum 50% marks to be eligible for the program. Candidate with Mathematics, Engineering, Statistics, and Economics background will get the preference for admission. The program is available at Gurgaon & Chennai centers. For more information, you can visit PGP-BABI Website. If you want to build a career in the field of Business Analytics, IIM-C EPBA program is for you. It is a one-year program with two sessions of 3 hours each week. The sessions will be delivered online. 3 campus visits are also required during the program. The total fee for the program is Rs. 2,20,000/- and campus fee is Rs. 60,000/-. A candidate must be a graduate with 50% marks in science or engineering to be eligible for this course. 2 years of working experience is also required. The final section will be done by the IIM-C selection committee. The program is currently being offered in association with Hughes Education. For more information about the program, you can visit IIM-C EPBA website. If you're already working in Analytics and want to enhance your skills, IIM-B Business Analytics & Intelligence program is for you. The program is designed especially for the experienced candidates with minimum 3-5 years of experience in the field of Business Analytics. Although people who have analytical aptitude and want to start a new career in analytics can also apply for the program. You should have a Bachelor degree in engineering/science/commerce or arts with mathematics as one of the subjects during your Bachelor’s programme to be eligible for this program. As we have mentioned earlier, 3-5 years of minimum work experience is required to apply for this course. The total cost of the programme is Rs 5,78,000/*- + service tax. The course consists of eight modules and a project. You have to attend weekly online tutorial sessions where problem solving using analytics will be taught. For more information, you can visit IIM-B website. IMS Proschool in association with NSE India offering business analytics classroom course in course in Mumbai, Pune, Bangalore, Chennai, Delhi, Hyderabad, Kochi & online course across the globe. Succsessful candidates will get an exam certificate from NSEIndia (NCFM). This is a joint Certification from NSE – India, IMS Proschool and NSDC. It is a 3 months weekend classroom course. During the course candidates will learn Big Data, Hadoop, Web Analytics and Mobile BI. To know more about these courses, please visit proschoolonline website. AIMA in association with Wiley is offering a Professional Diploma In Business Analytics through online mode. Graduate students with statistics or maths Background, Engineering students and MBA students are the right candidate to take course. It is a 5 months course. The fee for the programme is Rs. 45,000 + service tax. To know more, please visit AIMA website. 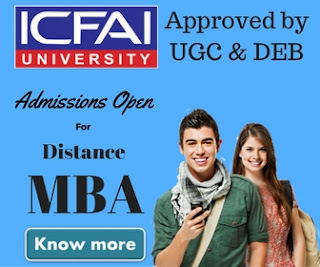 It is a 100% online self paced course from Manipal Global. 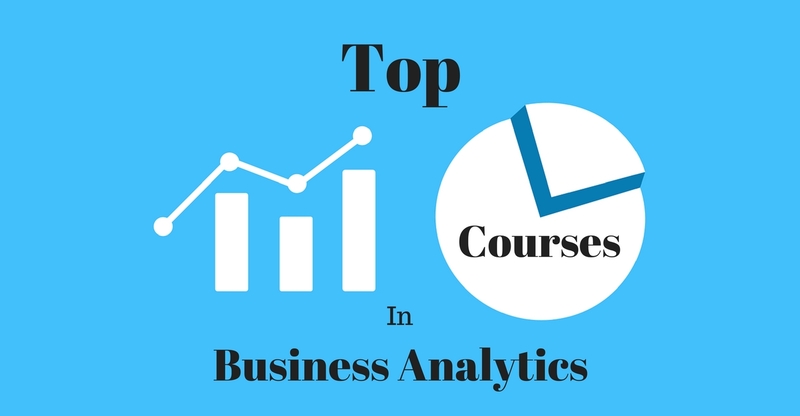 It will help you learn the basics of Business Analytics. The cost of the program is Rs. 8626. To know more visit Manipal Global website. It is a 3 months course designed for IT or database professionals looking for a career in the field of Business Analytics. The total cost of the program is Rs. 28,500/- . Candidates with Basic experience with R. Knowledge of Java or OOPS programming languages are preferable for this course. To know more about this course, visit Jigsaw Academy website.